Keeping your information true to DNA is one of the most important things in molecular biology, as all sequence information should match the actual DNA sequence. Aligning sequencing data and visualizing chromatograms validates that the sequence you have in hand is indeed what you expect and is a crucial part of any molecular experiment. It is essential to have the right tools to easily pinpoint these discrepancies and then manipulate the sequences. 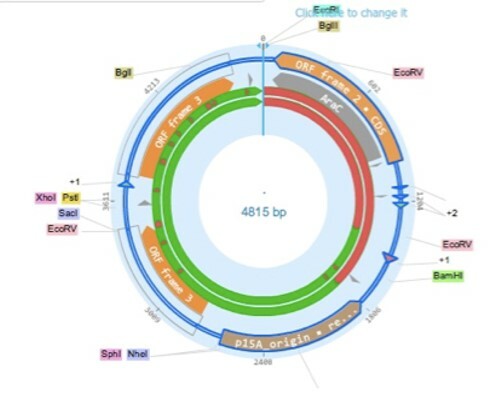 Genome Compiler allows you to do exactly that with the “Align” tool whereby the Clustal Omega algorithm is used to find discrepancies between your sequences. 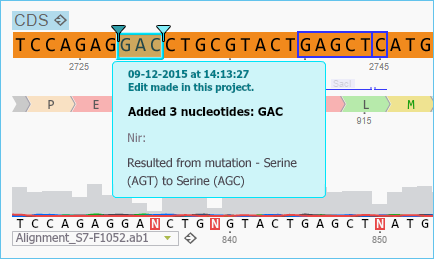 Genome Compiler’s free software allows you to easily align your sequences. 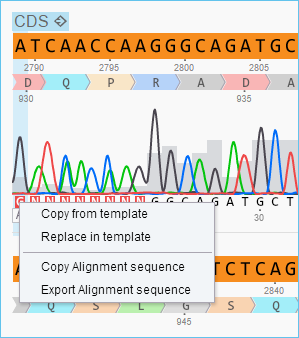 The information is presented in a comprehensive sequence alignment viewer that allows you to manipulate the sequences to achieve your desired results. Below is an example of an alignment of a modified GFP, RaVC. Open the template sequence in Genome Compiler. 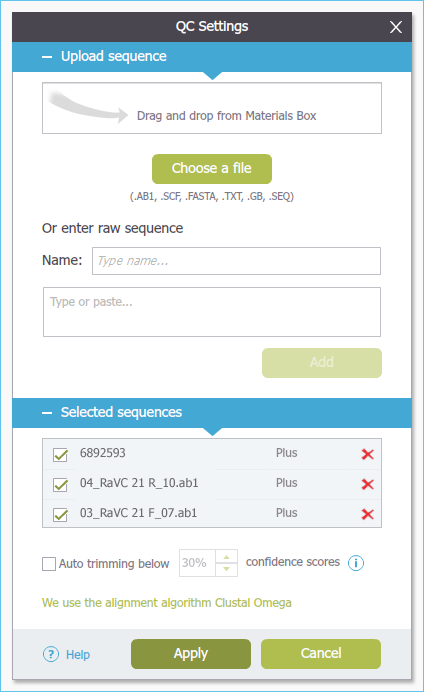 View your sequences in the “selected sequences” panel and choose whether you would like to run the alignment on the plus, minus, or both strands. 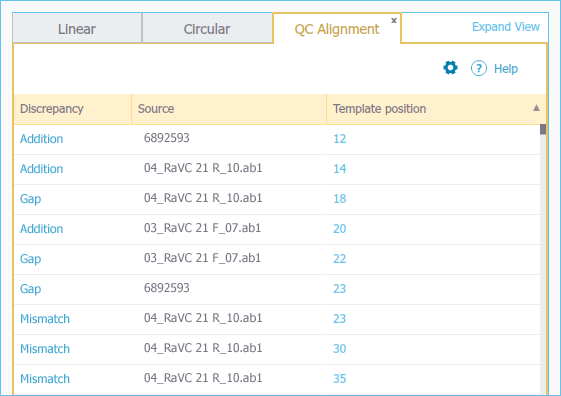 View the alignment results in an auto generated summary table which displays all of the mismatches, additions and gaps between your template sequence and the aligned sequence. 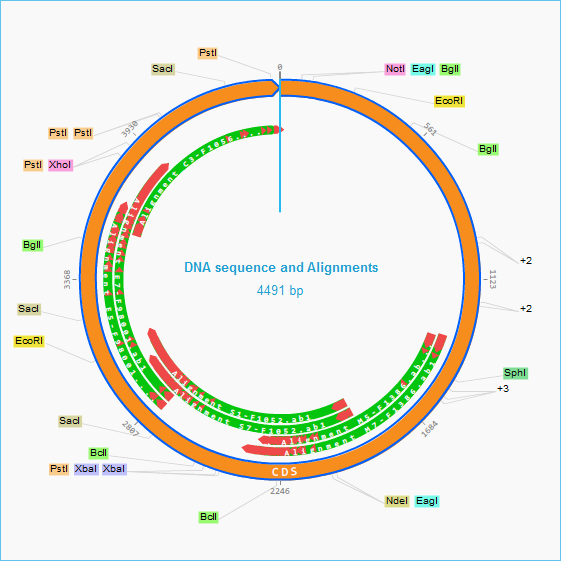 To zoom in on an area of discrepancy in the sequence view, click on the discrepancy in the summary table or click on the red area of interest in the circular view and you will be taken to that exact base pair coordinate in the adjacent DNA sequence view. It is possible to edit and change areas of inconsistency in the template sequence or the aligned sequence. A drop down box appears at the beginning of each aligned sequence. 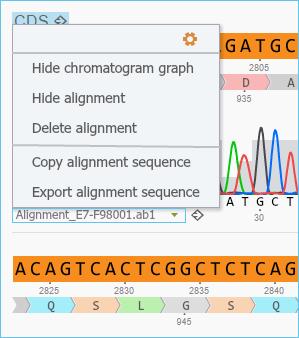 Here you can view the sequence name, and by clicking on the small arrow you can choose to hide the alignment, delete it, copy or export it, or hide the chromatogram when applicable. Genome Compiler’s alignment tool is just one of the many available features of the software aimed to make your DNA design process faster and simpler. For more information on the alignment tool and other great features of Genome Compiler, watch this tutorial video.